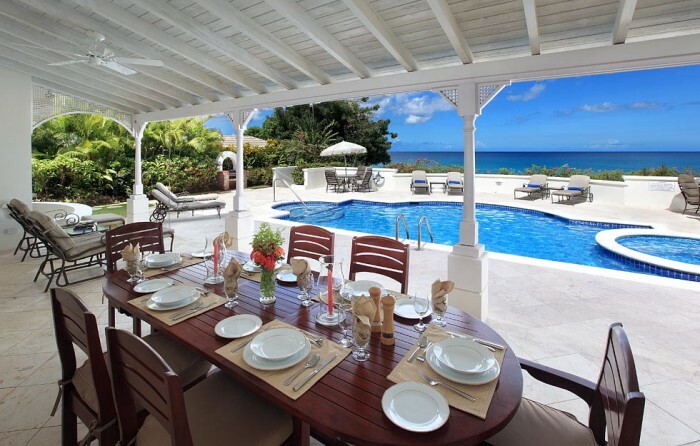 Calmaro is a true representation of beachfront luxury in Barbados. 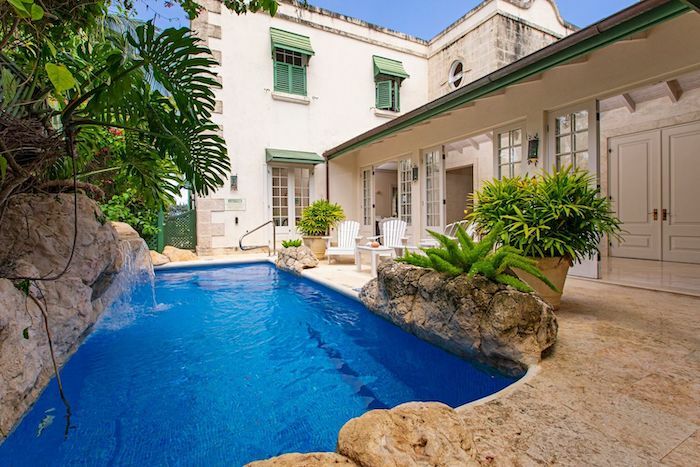 The property is nestled in a secluded beachfront location between Sandy Lane and Sunset Crest in St James. Lush, mature gardens set the tone as you walk through the main entrance to the pool deck. The outside dining area is perfect for lunch and dinner, allowing guests to enjoy the gentle, cool breeze and the delicious cuisine. The gazebo near the sea is the perfect spot to enjoy breakfast or afternoon tea within earshot of the gently lapping waves of the Caribbean Sea. Holetown, the centre of our West Coast, is an easy walk away and is where you will find many excellent options for both local and fine dining, shopping (including the world class Limegrove Lifestyle Centre) as well as nightlife. This beach front villa features a swimming pool, spacious patio and wooden deck that embraces tropical outdoor living in true Caribbean style, two bedrooms upstairs each have a private balcony that comes complete with the spectacular view of the shimmering Caribbean sea. This luxurious and stylishly furnished beachfront villa commands a prime position on a tranquil stretch of beach. The villa is fully air-conditioned and the spacious living and dining room flows seamlessly on to the patio, commaning a stunning view of the pool, deck and the sparkling Caribbean sea. The bedrooms also feature balconies with ocean views.